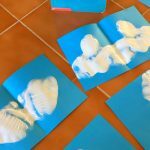 Connecting art projects with children’s literature is a natural. 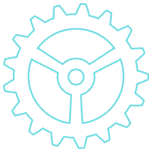 It’s an easy connection between an illustrator as a real live person and amazing art techniques. 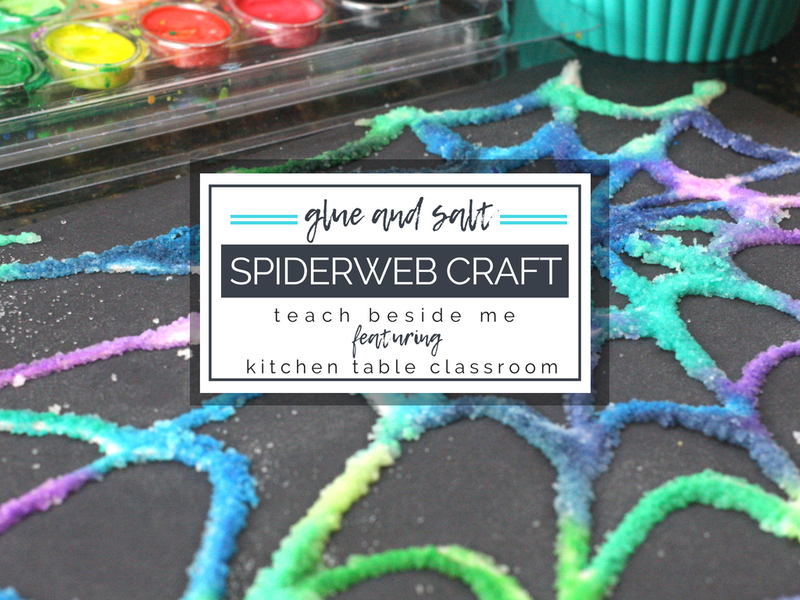 The Very Busy Spider is a classic children’s book that is the perfect inspiration for this glue and salt spiderweb craft. I love starting art class with a story. It’s a time for kids to relax their minds and bodies, listen, and be inspired for what comes next. If you work with young kids in any capacity you know who Eric Carle is. He’s an artist, illustrator, and author extraordinaire. His artwork is collage work of vibrant colors and unique textures layered upon one another. 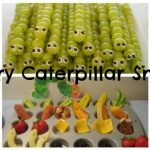 The Very Hungry Caterpillar, Brown Bear, Brown Bear, and the Very Quiet Cricket are just a few of his super recognizable titles. 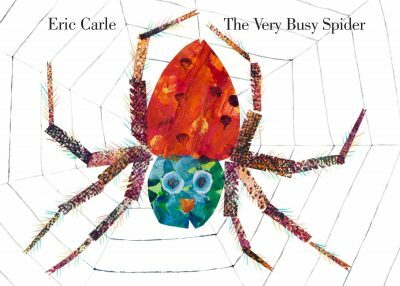 For this activity take a few minutes and share Eric Carle’s The Very Busy Spider. Talk about the what the kids see on each page. 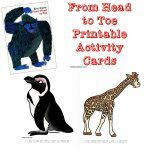 Ask kids how they think Eric Carle created those images? Especially look at the spiderweb pages. Talk about the shapes and patterns they see within the spiderweb as they will soon be making a spiderweb of their own! Taking just a few extra minutes to look at the illustrations and talk about what they see takes storytime from passive to active! 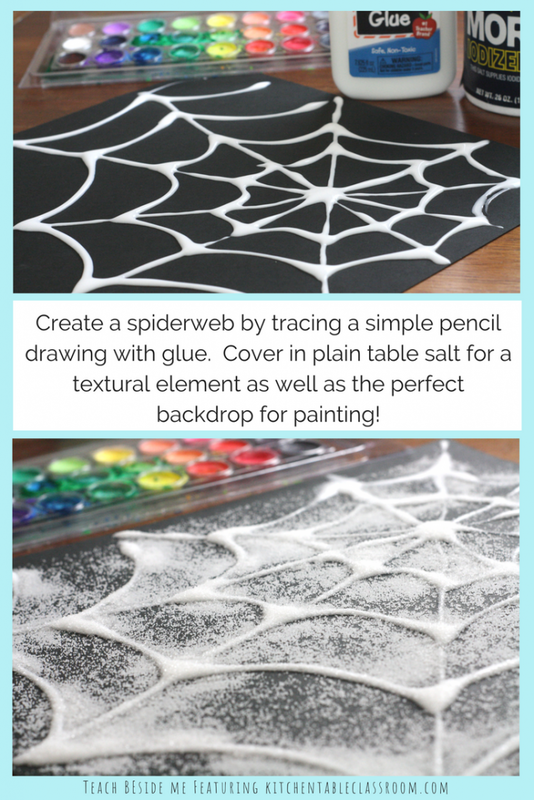 To make this fun spiderweb craft, you will need construction paper or tag board. We used black paper because it provides a nice “pop” from the paint colors. But any color, or even white paper, will work. You’ll also need a pencil to draw with, Elmer’s glue, table salt, watercolor paints, and a soft brush. 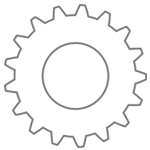 Start by drawing a dot with a pencil for the center of the spider web. 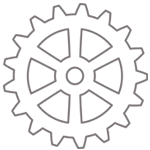 Draw lines freehand or with a ruler that intersect the center point and go from one edge of the paper to the other. 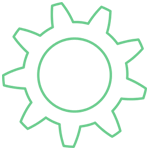 It is better to err on the side of fewer lines rather than too many as the glue will make the lines thicker. Use your pencil to draw curved lines between each “ray” of the spiderweb. 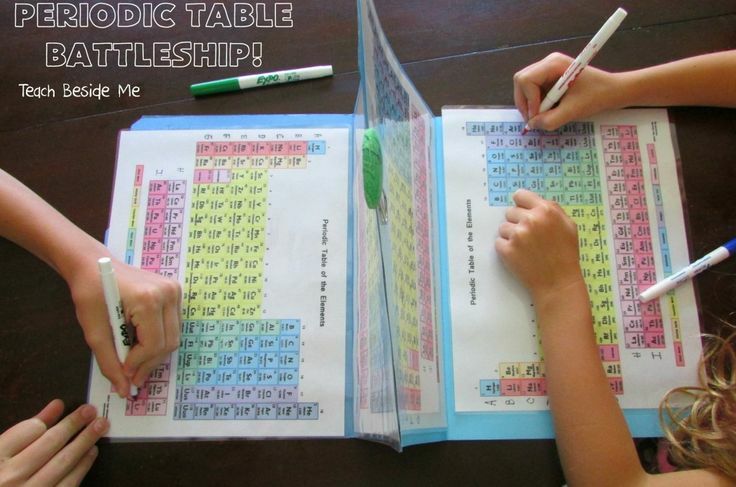 Again, encourage kids to make these line farther apart than they might if they weren’t being traced with glue. Trace each long ray of the spider web with glue then move on to the curved lines that connect the rays. The lines will be the smoothest if the lid of the glue bottle doesn’t touch the paper. 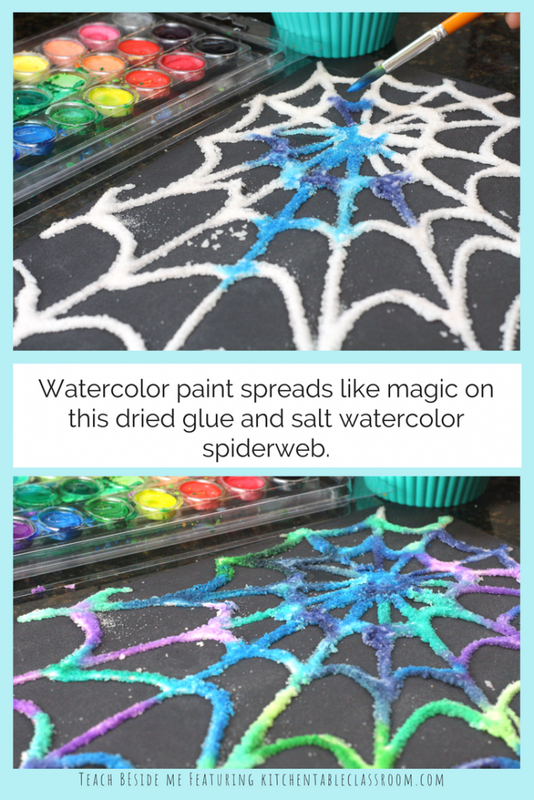 You could even do a practice run in which kids get to make a drizzled free form design before they move onto their spiderweb. While the glue it still wet give each child a ramekin of table salt. Use two fingers to pinch the salt and sprinkle it on top of the wet glue. Cover the glue with salt completely and gently slide off the extra. The spiderweb will need to dry before moving onto the next step. 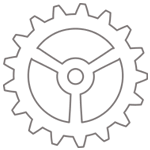 Dry time is usually overnight but depends on humidity levels as well as the thickness of the glue lines. When your spiderweb is dry it’s time to add some color. Using a soft brush, plenty of water, and watercolor paints add a drop or two of color to a salt line. Drop and dab the paint. No scrubbing or the salt and glue will melt away, dissolving your spider web. A light touch is crucial! Watch the color spread down the line of glue and salt. 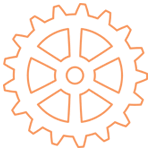 Even on dark paper the color is vibrant and has a “pop.” Encourage kids to use different colors next to one another and watch as they overlap and blend together. 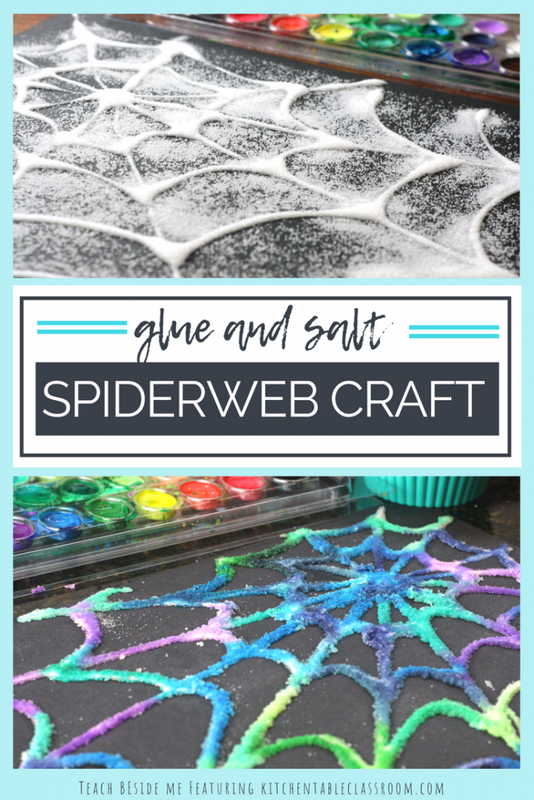 Have you tried this fun glue and salt spiderweb craft? Let me know! Hi, I’m Jodi! 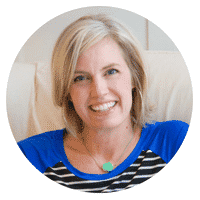 I’m a former public school art teacher turned home school mama to my four kids. 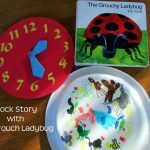 I blog at the Kitchen Table Classroom as a way to fulfill my own creative passion and help other moms bring a little artistic fun into their own home! 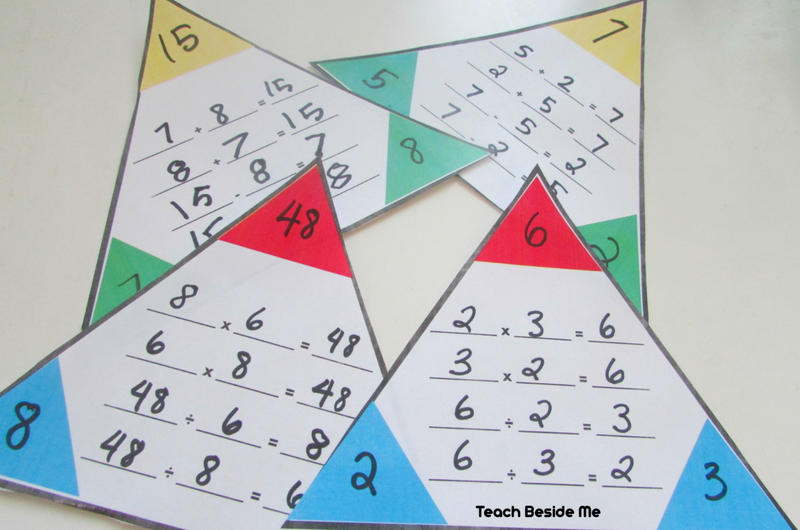 Art should be the best part of your home school day and I’m here to help that happen! Come visit me at the Kitchen Table Classroom for over a hundred free art lessons and a Resource Library full of free printable resources! I can also be found on Facebook, Pinterest, and Instagram sharing what life looks like at my house right now! Happy First Day of Spring with The Hungry Caterpillar!